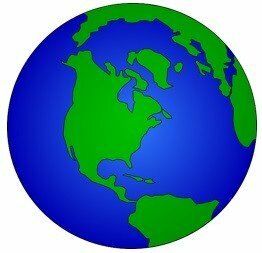 The Earth is divided into major climatic belts that are the result of the earth’s rotation. The tropical belts are the warmest, wettest areas of the planet; subtropical high-pressure zones create dry weathers in both the hemispheres. Temperatures and rainfall are scarce at the poles. These extreme conditions create biome; wide geographic zones where in different climate zones plants and animals are adapted. Climatic settings, temperature and precipitation change with every latitude. Between organisms and various ecosystems. These researches help us to understand our Earth’s ecosystems even better. 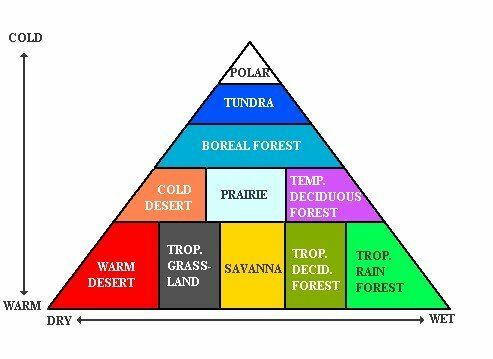 Climate zones are named after their types of vegetation, which in turn influence what kinds of animals will live there. Type of soil also varies from one biome to another, with respect to the climate and geology. Climate belts or biomes of sea, oceans and freshwater change with respect to seasons. For example where the oceans and land converge in the intertidal zone, are in the water and shows up as the tide moves in and out. Winters freezes the open water bodies like lakes and ponds, and wet areas that are usually covered with water in time when winter ends and spring begins usually dries out by summer. The oceans and the seas occupy ¾ of the Earth surface, while other water bodies are in different sizes like small ponds, streams, lakes. This is the reason different organisms living in various environments have learnt to adapt to a different range of climatic conditions and are able to move from one habitat to another when their habitats are altered. Species of the plant and animal life are unevenly spread among Earth’s biomes. Every habitat that has formed on the earth‘s surface has fixed sets of conditions for life; that is why they have same kinds of animal life wherever they are present. 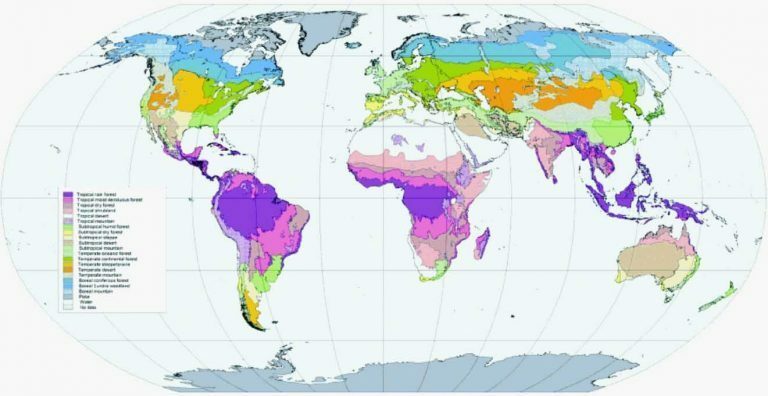 Tropical areas are generally rich in plant and animal life biodiversity than temperate latitudes mostly because of the warm climate. This pattern is termed as the latitudinal biodiversity, because of the difference in biodiversity within latitudes. Like, savannas or grasslands are mostly the main vegetation of Africa, Australia, South America, and India. The varied vegetation found in the grasslands basically lie on the tropical hot belt with distinct rains and dry seasons. Why is biodiversity divided in the Ecosystem in this manner? Large availability of food in the tropics helps many species to thrive. No major climatic changes happen like glaciations and extreme weathers do not affect the tropical belts and species here have a lot of time to develop and adapt. In the tropics when disturbances happen it promotes the succession of diversity. Predators and pathogens co exist peacefully because of abundance of resources. Earth is divided into distinct …………… ……….. that are created by the earth’s rotation.. Temperature and precipitation vary by……………. Tropical areas generally have more plant and…………… .…………. than higher latitudes. …………. and ………… co exist peacefully because of abundance of resources. Every ………… has numerous ecosystems with organisms adapted for life in their habitual settings.